The long anticipated UN inspectors report confirmed the use of chemical weapons on August 21, 2013 in the Ghouta area of Damascus. The investigators report provided “clear and convincing evidence that surface-to-surface rockets containing the nerve agent Sarin were used”. Warmongers were quick to pounce on the use of rockets as evidence that the Assad government was responsible. The Russian Foreign Minister Sergie Lavrov was quick to point to the “post hoc ergo propter hoc” argument — correlation does not equal causation. So whodunit? Foremost, given that the report emphasis the use of rockets, the Saudis should be asking themselves why it is that the accusatory finger has been pointed to them. 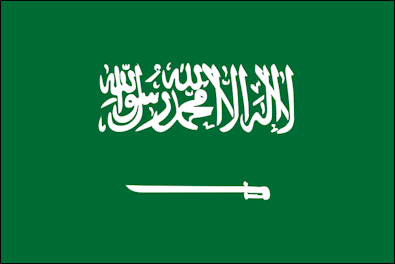 There is no doubt that Saudi Arabia is involved in the Syria conflict. Their involvement is not restricted to providing arms to the rebels but as USA Today reported in January, they have been sending death-row inmates to fight in Syria. That said, the UN report clearly repudiates dubious reports which surfaced on the internet citing a rebel’s father who had claimed that the Saudis supplied the chemical weapons without instructions, or without telling the rebels what they were which is why “they” (chemical weapons) went off in the tunnel. While it is not a secret that the Saudis aim to spread their influence in the region by assisting neocons remove Assad from power, what should be of note to the Saudis and of interest to media watchers is the fact that in spite of the Saudi ‘s full cooperation with America and Israel in funding and supporting wars against fellow Arabs and Moslems, and even providing them with terrorists, the neoconservatives such as the Foundation for the Defense of Democracies are now claiming that Saudi Arabia is responsible for pushing for war . This should give Saudis reason to pause and reflect. But to the report…. According to the UN report two types of rockets had been used, including an M14 artillery rocket bearing Cyrillic markings and a 330-millimeter rocket of unidentified origin – though perhaps not so unidentified. Shortly after the August incident, Foreign Policy published and made mention of these mysterious rockets which according to former UN inspectors bore a strong resemblance to a 1970’s American weapon—the SLUFAE. Although SLUFAE had been shelved, the concept was built upon by several countries—namely Israel. According to the former UN inspector, “a very similar munition was found 3-5 years ago, during one of the Israeli excursions,” into Southern Lebanon”. Further, there is the strong possibility that the rockets with Cyrillic markings (attributed to the Soviets) can be traced back to the “Bear Spares” program. According to the 1995 Teicher Affidavit, the United States had a “Bear Spares” program with the objective to provide ammunition for Soviet or Soviet-style weaponry and deliver them third countries without direct involvement. Israel which had a large stockpile of Soviet weaponry and ammunition captured during its wars was active in this program and, according to Teicher, transferred the spare parts and weapons to third countries or insurgents (such as to Iraq in the Iran-Iraq war, to the Afghans, and the Contras). Of note is the fact that Israel possess Sarin gas and it is not party to the Chemical Weapons Convention (CWC). It is worthwhile repeating here that it was Israeli “intelligence” which alerted the United States of the use of Sarin on August 21, and of its delivery method long before the UN report was published. It was the Israeli ‘intelligence’ which prompted John Kerry to point the finger at Assad with confidence. Often left unmentioned is the fact that it was John Kerry’s public suggestion to rid Syria of its chemical weapons which became the basis for the Russian initiative to avert war. Undoubtedly, Israel stands to gain from this initiative given its territorial ambitions (see HERE for example) given that it is thought that Syria’s entire defense against Israel may rest on chemical weapons and warheads[i]. Not surprisingly, the Israeli Prime Minister, Benjamin Netanyahu regards the initiative as a precedent for dealing with Iran’s civilian nuclear program. While Israel has the most to gain by the chemical attack incident, it is not unique in its access to Soviet weaponry – and to Sarin gas. Egypt also served as a supplier for the Bear Spares program where it manufactured weapons and spare parts from Soviet designs and provided these weapons and ammunition to the Iraqis (during the Iran-Iraq war) and other countries. The United States approved, assisted and encouraged Egypt’s manufacturing capabilities. It is not without relevance to mention here that the Syrian opposition group had headquarters in Egypt for some time. The leader of Egyptian military coup, General al-Sisi was hailed as a “national hero for all Jews’ by the Israeli ambassador in Cairo. The military continues to be in charge with the full support of and funding from the United States (and Saudis). Contrary to the Western media pundits who attempt to pain this as a straightforward case against Assad, without evidence or without thought, one can point the finger to other more likely culprits who stand to gain a great deal from this heinous crime. The only way to narrow down the field is to consider ‘cui bono’. Clearly, Assad is the biggest loser. [i] Terrill, W. Andrew, “The Chemical Warfare Legacy of the Yemen War.” Comparative Strategy, 10 (1991), 109-119.